Home Forex Trading Are You Interested In Forex Trading? Are You Interested In Forex Trading? Forex market is the biggest financial market in the world even though there is no central exchange location. It is more than 3 times the size of the stock and futures market combined and the operation is made through the electronic network which connects banks, companies and investors and they are all involved in foreign currency trading. There are many beneficial things which you receive through Forex trading if you are a smart investor. In the Foreign exchange market known as Forex market, there are two types of investors. The first type is hedger which is involved in Forex trading to protect their interest in a transaction for adverse fluctuations in the currency. The other type is the speculator who just trades in order to generate profits. In FX market the currency prices always keep on fluctuating which is caused due to a variety of economic and political factors. The major factors associated with the changes in values for foreign currency trading are - changes in Interest rates issued by central banks, International trade, Inflation and political stability. This is the reason why many traders trade on the news associated with these factors affecting the prices of the related currencies. Trading just after any News release is done by many traders in order to take the benefit of the situation in favor of them. Why Investors Take A Great Interest In Forex trading? Investors take great interest in Forex trading due to many reasons. 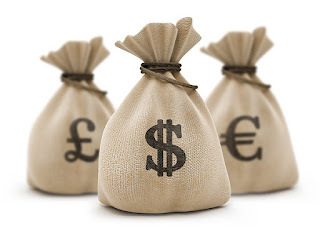 Here are some of the main reasons why FX trading is so much popular among the investors. There is little or no fees associated with trading Forex. Brokers usually take profits from the spreads or some may take commissions which are generally lower than other forms of trading. There is no middleman and you can trade online directly managing your portfolio online. The Forex market is the world’s biggest market and therefore it provides highest liquidity to the traders all around the world. 24 hour open market providing flexibility to the Forex traders for trading Forex with their convenient timing. There is no single entity which can dominate the market. Hence good opportunities to the foreign currency trading investors to trade openly in the market. Forex provides greater opportunities to trade and there are only a few major currency pairs to choose from. Hence better focus on individual currency pairs can be made in Forex trading.